Windows Phone 8 comes with one of those features for which Apple's Scott Forstall and Google's Matias Duarte might be slapping their foreheads and exclaiming "How didn't I introduce it first! ", and it is Live Apps pushing real-time updates to your lock screen wallpaper. Well, Scott Forstall is gone now, and we exaggerate, but the idea is pretty neat, and you can set the lock screen now to display your most needed info before you have even entered the phone - real-time Facebook updates, scores from the Sports app, news, weather, and other notifications that 3rd party apps come up with. 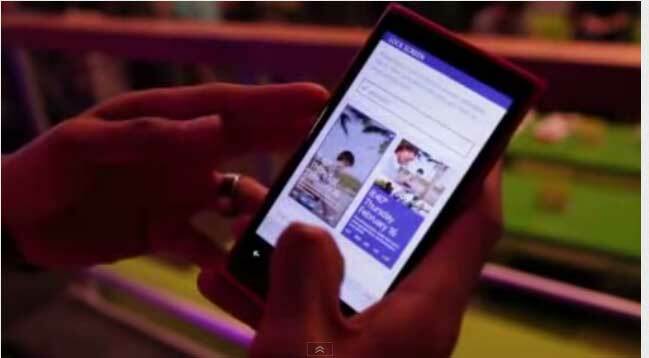 If you want to see the live lock screen feature of WP8 in action, look no further than the video demo of the new live Facebook app for Windows Phone 8, which is pushing some info on the lock screen of a Nokia Lumia 920. The Nokia Lumia 920 is not yet out and we don’t expect to see it on retail shelves until November 12th, but Swedish operator 3 Sverige seems to have accidentally put a full hands-on review of the handset on its official YouTube channel. 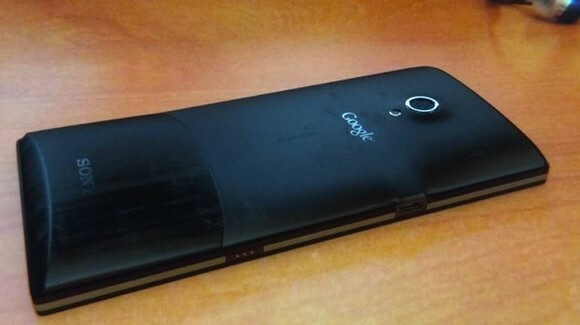 Not just that, 3 Sverige has also leaked out the LG Nexus 4 in a similar hands on video. The carrier walks us through the Windows Phone 8 new start menu, music app, browser, and Nokia Drive, and all seem to be perfectly smooth, just as you’d expect. Finally, the reviewer throws in the FatBoy wireless charging pillow and shows just how easy it is to juice up the device on it. Sadly, we never get to see much of the PureView camera and its superb low-light performance which is one of the signature features of this device. But hey, at least we know it’s coming soon. The new iPad mini will soon be available with 4G LTE service from AT&T, Sprint and Verizon in addition to a Wi-Fi only version. Consumers should carefully weigh their options before selecting an iPad mini to make sure they get a tablet that will deliver the best mobile experience possible and that won’t break their budgets. 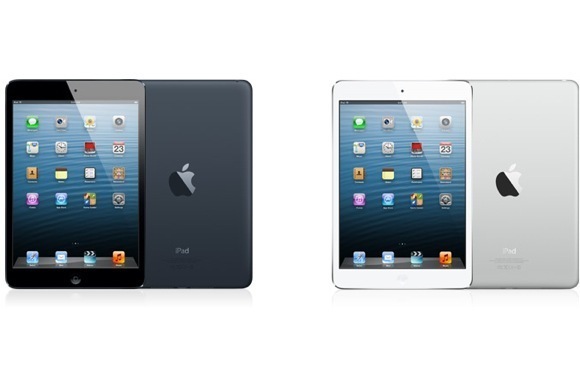 The iPad mini is Apple’s latest 4G LTE device, joining the New iPad (3rd generation) and the iPhone 5. Many current iPad users rarely use their devices’ 4G LTE capabilities for one simple reason: they almost never use their iPads on the go. That won’t be the case for most iPad mini users since the device is much smaller than its predecessors. United States carriers’ 4G LTE networks are relatively immature compared to their 3G networks in the United States. 4G LTE networks deliver blazing fast download speeds that rival DSL and cable modem speeds. While AT&T, Sprint and Verizon all provide 4G LTE coverage maps, 4G LTE simply isn’t available in many cities and users often complain of 4G LTE dead-zones in cities supposedly blanketed with 4G LTE. 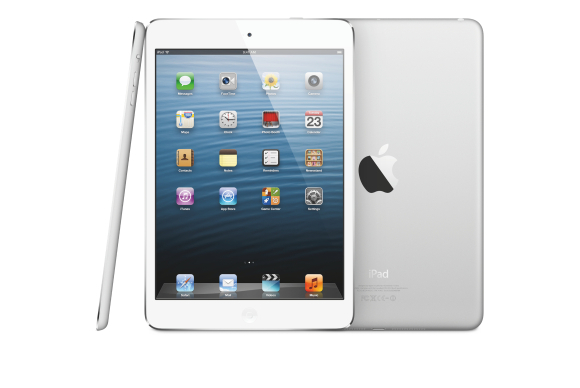 The AT&T 4G LTE iPad mini is the best choice for existing AT&T customers that live in an area with strong 4G LTE coverage. It’s also the best choice for people that live in areas that aren’t covered by ANY 4G LTE network, but who are covered by AT&T’s 3G/4G HSPA+ network. AT&T’s seriously improved its wireless network over the past two years or so, at least in many areas. 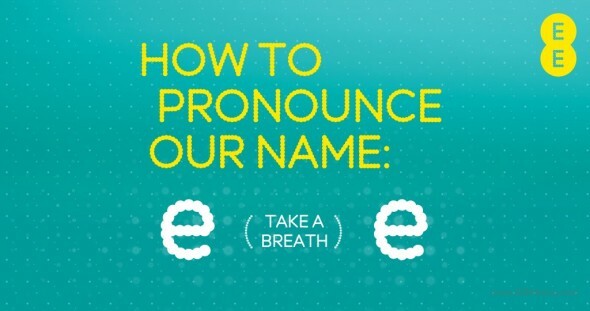 Its 4G LTE network is extremely fast, but it’s only available in a few dozen markets. Its 4G LTE coverage is expanding, but it’s still far behind Verizon in terms of how many cities it covers. In some cities, including San Francisco, AT&T’s 4G LTE network is much faster than Verizon’s 4G LTE network. AT&T’s 4G LTE network is available in more neighborhoods in the San Francisco Bay Area and the signal seems to penetrate older buildings better than Verizon’s. Those who already own an iPhone 5 or another AT&T smartphone may benefit from switching to a Share Everything plan and tacking on the iPad mini to for just $10 per month. Sprint is currently offering existing smartphone customers special deals on two iPad data plans, though the cheapest one won’t get users very far. Sprint’s recurring 1GB data plan for the iPad mini is just $15 per month for existing Sprint subscribers. The carrier is also offering a recurring 100 MB plan for just $10 per month, but users will blow through that limit in no time. In addition to the above discounted plans, Sprint offers four data tiers in a traditional post-paid format or on a month-to-month basis so users can easily opt out for months they don’t need mobile data. For all the emphasis Sprint places on unlimited data plans for smartphones, there is no Sprint unlimited data plan for tablets. Sprint’s 4G LTE coverage is significantly lower than Verizon and AT&T’s coverage. Sprint is promising a faster rollout to over 100 cities, but users should take a close look at Sprint coverage before purchasing the Sprint iPad mini as 4G LTE may not arrive until March for some cities. 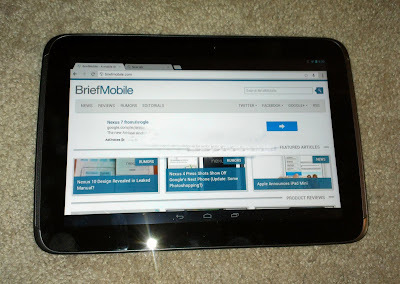 Current Verizon customers with 4G LTE coverage should buy the Verizon 4G LTE iPad mini. The new Verizon Wireless Share Everything plans make adding a tablet to a smartphone plan affordable with a $10 monthly charge. Verizon leads the pack with 4G LTE coverage with over 400 4G LTE markets. While Sprint and Verizon continue to roll out 4G LTE towers, Verizon will continue to cover more towns across the U.S. for the next year. Verizon delivers fast 4G LTE download speeds to the iPhone 5 and other 4G LTE devices. Verizon and AT&T 4G LTE speeds are similar, but users will see slight differences in speed based on their location. Verizon’s 4G LTE network is less reliable inside buildings than AT&T. When added to a Share Everything plan, the iPad mini can act as a hotspot to connect laptops and other WiFi device to the internet. The iPad 3rd generation could last up to 24 hours as a personal hotspot, and the iPad mini may be able to deliver similarly impressive results as its battery is also rated for 10 hours of use. While 4G LTE speeds are comparable, users should ask a current LTE users how coverage is in their area, and what speeds the user’s LTE devices commonly achieve. The video below shows Verizon 4G LTE and AT&T 4G LTE on the iPad 3rd generation. In addition to speed tests, this video shows real world use cases, like downloading music over 4G LTE. The video below shows sprint 4G LTE speeds in a city with Sprint 4G LTE coverage. Keep in mind, speeds will vary between locations. The HTC One Android 4.1 Jelly Bean update, which HTC promised would be rolling out this month, has apparently started rolling out as promised though it appears that the roll out for the moment is only limited to Taiwan, HTC’s home. According to a post on XDA-Developers forum, the update is apparently rolling out in Taiwan and the version is reported to be version 3.14.709.16 with a size of 352.87MB. That’s a sizable update and means that those who are lucky enough to receive the update today will want to take some time to download and install it. 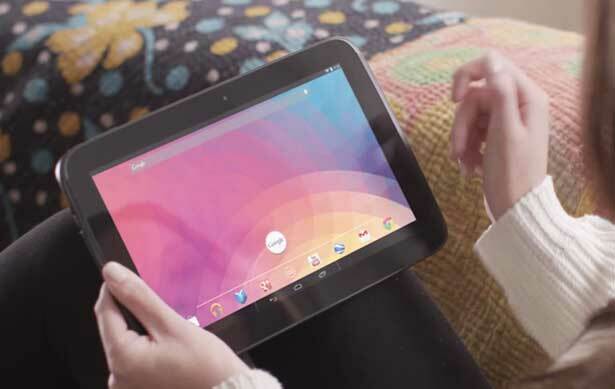 Once up and running the version of Android is said to be Android 4.1.2, the latest version of Jelly Bean. 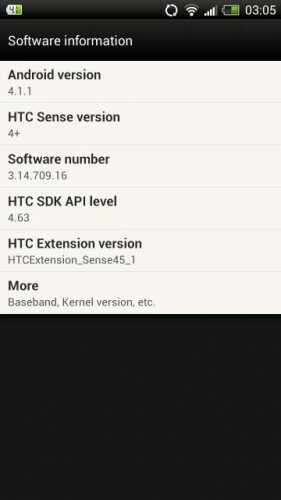 As for the HTC One S, which HTC said would start to see Android 4.1 Jelly Bean this month as well, nothing was announced and its release date remains unclear at this point though we’d be surprised if HTC missed the October cutoff. We advise those who have yet to receive the update today to remain patient. This is clearly an initial roll out and it will take some time before the update moves to different regions in the world. It’s no surprise that the company started with Taiwan as that is where HTC is based. As for the update itself, it apparently brings not only Android 4.1 Jelly Bean, but HTC Sense 4+ as well which is the company’s user interface that comes over the top of Android. 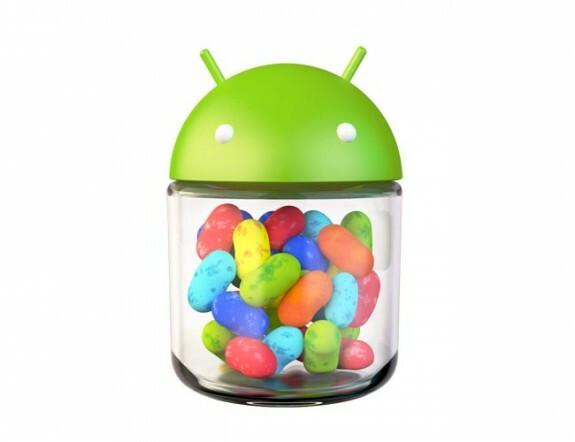 In addition to the new UI, the update will bring all that is Android 4.1 Jelly Bean. Starting with its smooth and faster user interface, Android 4.1 Jelly Bean is a huge upgrade over Android 4.0 Ice Cream Sandwich, the software that the HTC One X launched with. It also comes with improved Notifications, Google Now, improved Calendar and Browser, more camera functionality, new Face Unlock features and more. Still no word about updates for the AT&T HTC One X or HTC One S Jelly Bean updates but now that this is out, it’s a sign that we could see some progress soon. Test-Mobile.fr seems to have been invited to another Nokia blogger bash and uploaded some new video comparisons of the Nokia Lumia 920 vs the latest iPhone 5, and also the Samsung Galaxy S 3 and HTC One X, comparing once again their optical image stabilization abilities. 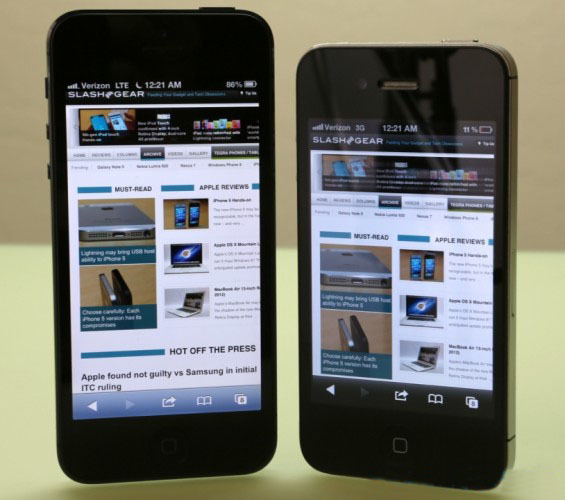 The HTC One X and Samsung Galaxy S 3 both deliver dreadful results, and the iPhone 5 does not do too poor a job, but the stability and level of detail, not to mention general video quality, are all superior on the Nokia Lumia 920. 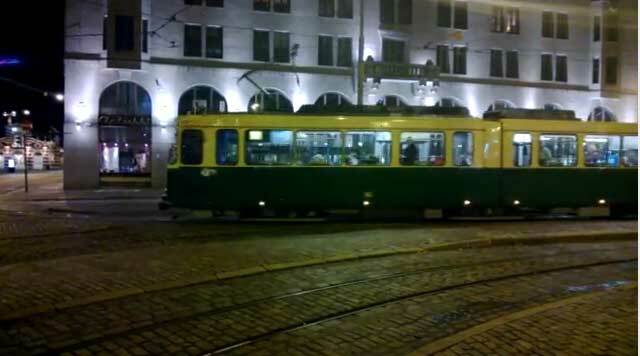 Test-Mobile.fr also uploaded a video shows low-light performance, and as before it is very good. Internally, there's (reportedly) a dual-core 1.7GHz Samsung Exynos 5250, a Mali-T604 GPU, 2GB of RAM, 16GB of internal storage (though no microSD expansion slot), a 5 megapixel rear-facing camera, NFC / WiFi, Bluetooth 4.0 and a Super AMOLED panel with a drool-worthy 2,560 x 1,600 screen resolution -- yeah, that's well into "Retina" territory at 298.9 pixels per inch. You may recognize that Exynos 5250 from Google's recently released $249 Chromebook, but here, it's being used to push Android 4.2. Those hungry for more can visit the source link, but don't go in hoping to extract an asking price. 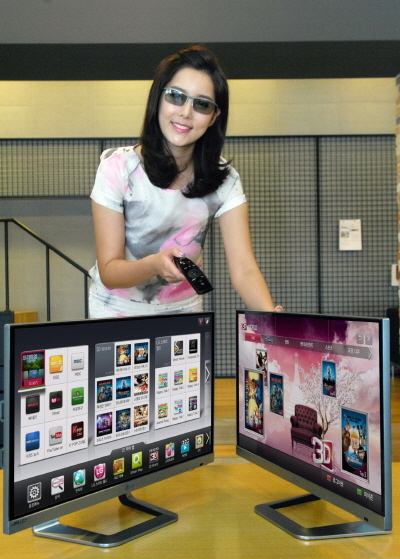 LG may have a massive 84-inch smart TV for those with big rooms and deep pockets, but the company’s TM2792 hopes to bring 3D and internet-connectivity to those with more humble aspirations. Measuring in at 27-inches, the “mini smart TV” announced back in August is LG’s attempt to cater for single-person households who don’t want to give up premium features like integrated WiFi and media streaming. So, the LG TM2792 still runs at 1920 x 1080 resolution, and has an IPS LCD panel with broad viewing angles. It stands on a metal base and has ultra-skinny bezels, and LG supports 3D and 2D-to-3D conversion using its passive 3D system. LG’s “magic remote” is supplied, and there’s input support for HDMI, VGA, composite and component, along with SCART, three USB ports, and an ethernet connection. The integrated WiFi supports WiDi and WiFi Direct, and the USB can handle MHL HDMI for directly hooking up your smartphone or tablet. The new LG goes on sale in Korea this weekend, and will launch internationally later in the year. No word on pricing at this stage, though interestingly there’s already one third-part seller on Amazon UK listing the TM2792 for £563.49 ($908). Nokia has joined in the maps attention-seeking, highlighting its own camera-toting efforts to 3D visualize locations, just as Google Maps has done with Street View. 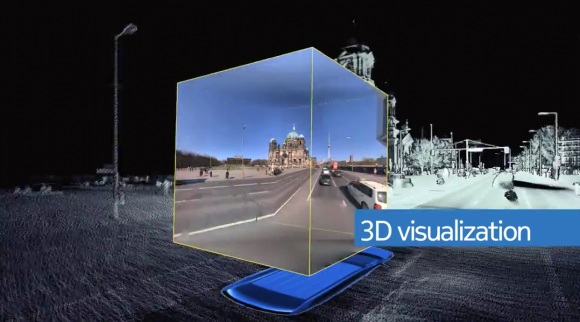 NAVTEQ True, as Nokia calls its system, combines 360-degree LIDAR with the awesome power of lasers to map out 1.3m 3D data points each second, panoramic cameras, and military-grade positioning systems. Those positioning systems don’t only rely on GPS for location, but Inertial Measurement Unit (IMU) sensors to track speed, orientation, and the effect of gravity, so as to get an even more granular fix on where the teams are. Nokia dispatches them both in cars and on foot – though it’s not clear whether NAVTEQ has visited the Grand Canyon yet – with panoramic cameras (that link 360-degree images to the corresponding position in LIDAR 3D models) and automated high-res multi-view cameras to cut out the amount of user-processing required. The results are all funneled into apps like Nokia City Lens and Nokia Maps, which will be increasingly important in Windows Phone 8. 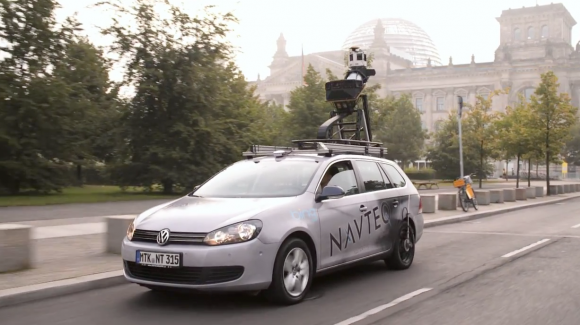 It remains to be seen whether Apple, which ousted Google Maps from iOS in favor of its own navigation application, will turn to NAVTEQ to license the 3D graphics, as Oracle and others have done. NAVTEQ was one of the few highlights of Nokia’s recent financial results announcement, with licensing of the navigation system to third-party clients looking a little more successful than sales of Lumia Windows Phones. Net sales were down for the Location & Commerce division, as was operating profit, but if you exclude the one-time costs incurred during the three month period, Nokia actually made a little profit on the group. 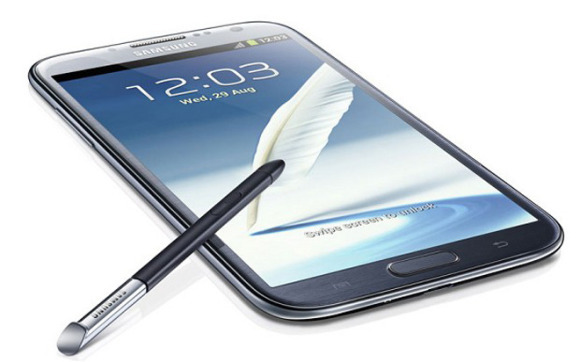 Verizon Wireless, like AT&T, will start shipping the Samsung Galaxy Note II in November, but its subscribers will have to wait a bit longer than users on competing networks. The device will start shipping from Verizon on Nov. 27, while Sprint is scheduled to offer it on Thursday and AT&T on Nov. 6, according to the operators' respective websites. All three want users to pay $299.99 up front with a two-year service contract. The retail price is $699.99 on Verizon's website and AT&T offers the Note II for $649.99 without commitments. 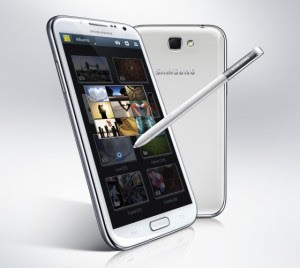 The LTE-compatible Galaxy Note II is based on Android 4.1 and powered by a quad-core 1.6GHz processor. It has a 5.5-inch widescreen display with a resolution of 1280-by-720 pixels; the device is 9.4 millimeters thick and weighs 180 grams. That compares to the original version's 5.3-inch display with a 1280-by-800 pixel resolution in a package that is 9.7 millimeters thick and weighs 178 grams. Samsung has also increased the size of the battery from 2,500 mAh to 3,100 mAh. Between Apple’s presentation at its Tuesday press event, the press releases and spec sheets that followed, and our all-too-brief hands-on session, we’ve been able to get a pretty good first impression of the new iPad mini and, to a lesser extent, the fourth-generation iPad. So while we wait for our review units to arrive, here’s what we know so far. How small is it, really? 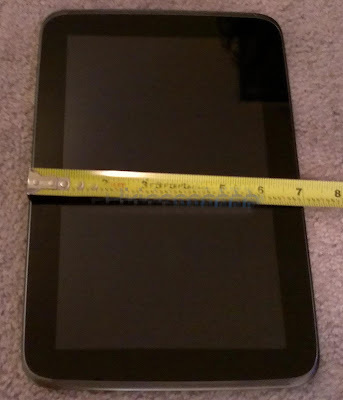 The iPad mini is 7.9 inches tall, 5.3 inches wide, and 0.28 inch thick. For comparison, note that the new fourth-generation iPad measures 9.5 by 7.3 by 0.37 inches. The iPad mini’s volume is less than half of the big one’s. 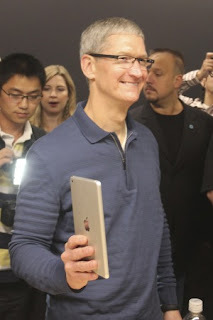 Obviously, the iPad mini is lighter, too, weighing 312 grams (11.0 ounces) versus 662 grams (23.4 ounces). 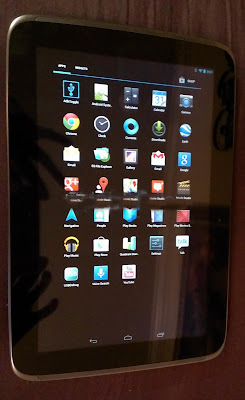 For the sake of further comparison, Google’s Nexus 7 tablet is roughly 7.8 by 4.7 by 0.4 inches and weighs 340 grams (12.0 ounces), so the iPad mini is a bit smaller. 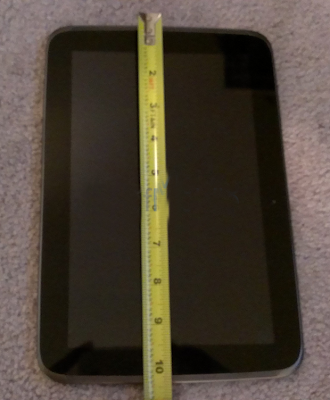 The iPad mini’s screen is 7.9 inches on the diagonal, compared with 9.7 inches for the full-size iPad. 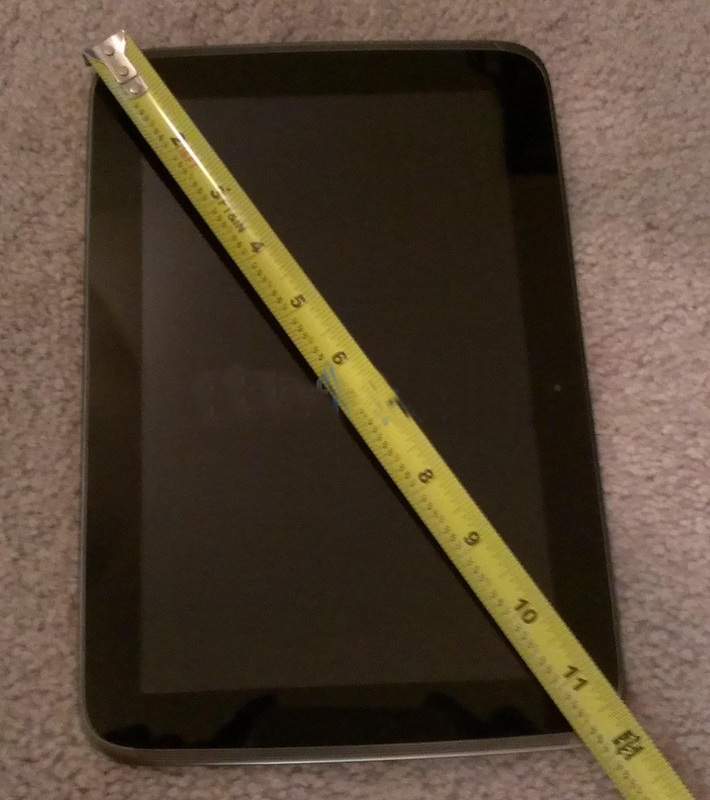 Although it’s smaller than the regular iPad’s display, its diagonal measurement is twice that of the iPod touch (4 inches). The iPad mini’s display provides the same resolution as the original iPad and the iPad 2: 1024 by 768 pixels. That’s much lower than the 2048-by-1536-pixel resolution of the Retina display found on the third-generation and fourth-generation iPads. The new taller iPod touch models have 1136-by-640-pixel resolution. However, keep in mind that while the first two iPads offered 1024 by 768, they did so on 9.7-inch screens, whereas the iPad mini has the same pixel dimensions on a 7.9-inch screen. As a result, the pixel density of the iPad mini is considerably higher than that of the old iPads, working out to 163 pixels per inch on the iPad mini, versus 132 ppi on the iPad 2. That’s not even close to the 264 ppi of the third- and fourth-generation iPads or the 326 ppi of the iPhone 4S and iPhone 5. But next to the iPad 2, this is a significantly sharper screen. One other consequence: The on-screen keyboard could be pretty tight. We’ll find out more when we have more-extensive hands-on time with the device. Does the screen change mean that developers will need to create yet another version of their apps? Thankfully, no. Because the iPad mini’s screen has the same resolution as the screen on the first two iPad models, iPad apps that work with those models—meaning the vast majority of iPad-optimized apps—will work with the iPad mini without any developer tweaks. On the other hand, everything will be smaller on an iPad mini’s screen. If a particular app uses especially small interface elements—buttons, for example—those items may be more difficult to tap on the iPad mini. We suspect that some developers will need to adjust their apps to be more usable on the iPad mini. So does the iPad mini look like a full-size iPad, just smaller? Not exactly. Although the overall design is similar, a few significant differences make the iPad mini unique. The most obvious is the color scheme. Apple has adopted the iPhone 5’s color options for the iPad mini: You can get one with a silver-aluminum back, a white screen bezel, and shiny silver buttons and switches. Or you can go with the black/slate model, which has a slate-black aluminum back, buttons, and switches with a glossy-black screen bezel. Like the iPhone 5, the iPad mini has chamfered edges between the body and the glass display. What about the other specs? How do those compare to the full-size iPads? Though many people expected the iPad mini to be essentially a smaller version of the iPad 2, with much the same inner hardware, it’s actually somewhere between the iPad 2 and the current full-size iPad. The iPad mini uses a dual-core A5 processor, like the iPad 2. (Because Apple doesn’t publish clock speeds for its iPad chips, we can’t compare them directly.) It has the same FaceTime HD (720p) front camera and 5-megapixel (1080p-capable) back camera as the fourth-generation iPad; compare that to the VGA-resolution front camera and 960-by-720-pixel back camera we got on the iPad 2. 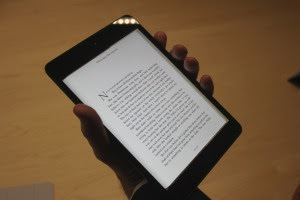 Similarly, the iPad mini offers Bluetooth 4.0, with optional LTE wireless data; the iPad 2 included Bluetooth 2.1, with only 3G connectivity as an option. (The iPad mini with LTE uses the same LTE chip as the fourth-generation iPad does, so it’s compatible with more carriers than the third-generation iPad was.) 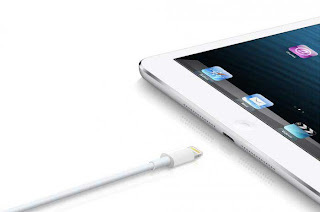 And like the fourth-generation iPad, the iPad mini sports a Lightning connector and includes Siri. Apple says the iPad mini offers battery life similar to that of the full-size iPad: up to 10 hours of Wi-Fi Web surfing, watching video, or listening to music; or up to 9 hours of Web surfing over a cellular-data connection. In one regard, the iPad mini actually uses newer technology than the latest full-size model: The iPad mini accepts the same nano-SIM card as the iPhone 5 does, whereas all full-size iPads use the older micro-SIM card. The iPad mini is available in the same configurations as the fourth-generation iPad, but each model is $170 less. In other words, the 16GB Wi-Fi model goes for $329, 32GB is $429, and 64GB is $529; adding LTE cellular data ups the price to $459, $559, or $659, respectively. You can order one starting on Friday, October 26. Apple says the iPad mini will start shipping November 2. Now that the iPad mini exists, why would anyone buy an iPod touch? With the 32GB iPod touch priced at $299 and the 64GB model priced at $399—$70 more than the entry-level iPad mini—some people are wondering why anyone would go for the iPod touch. That’s a valid question. But Apple would say—and we would agree, for the most part—that the markets for the two products are very different. Sure, the iPad mini offers a larger screen, but the downside to such a size is that it no longer fits in your pocket. The iPod touch, on the other hand, is still pocketable (4.9 by 2.3 by 0.24 inches, 3.1 ounces)—a crucial feature for some people. The iPod touch also offers more storage for your money, and a true Retina display. As with many things in tech, huge and miniature both cost more, and the iPod touch is a marvel of miniaturization. If you want an iOS device with lots of storage and really long battery life that fits in your pants pocket, the iPod touch—or the iPhone, of course—is for you. If you’re willing to give up pocketability and a good amount of battery life in order to get a much larger screen, Apple now has you covered there in a couple of different ways, too. 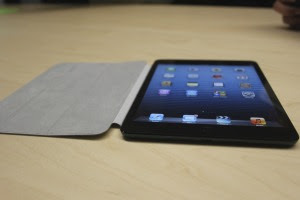 What are the differences between the fourth-generation iPad and the third-generation model released earlier this year? On the outside, the only obvious change is that the latest iPad uses Apple’s new Lightning connector instead of the older 30-pin dock connector. (If you have older audio and power accessories, you can use them with the new iPad via Apple’s Lightning-to-30-pin adapters.) But Apple has also upgraded the new iPad’s cameras, as the new iPad includes a FaceTime HD (720p) front camera and a 5-megapixel (1080p-capable) back camera, in contrast to the VGA-resolution front camera and 960-by-720-pixel back camera on the iPad 2. Speaking of wireless, the new iPad also has upgraded LTE circuitry that’s compatible with more carriers around the world—and with Sprint in the United States. Has the price of the full-size iPad changed? No. As usual, Apple has updated the iPad line but kept prices the same. This means that the entry-level fourth-generation iPad, which includes 16GB of storage and Wi-Fi, is $499. $599 gets you 32GB of storage, while $699 buys 64GB. If you want LTE cellular data, you tack on $130, for a total of $629, $729, or $829, respectively. The 16GB iPad 2—not the third-generation iPad, which has been discontinued—is still available at $399 for the Wi-Fi version and $529 for the 3G cellular-data model. The iPad mini doesn’t arrive in stores until November 2, but we got to spend some time with one on Tuesday after Apple’s media event at the California Theater in San Jose. Our conclusion: Yes, it’s a small iPad—but there’s more (and less) to it than that. Here are our hands-on impressions. 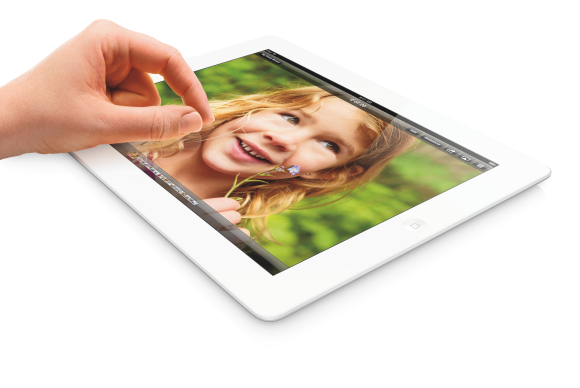 As Apple’s executives made a point of stressing, the iPad mini is first and foremost an iPad. Sure, when you pick it up, it’s impressively small and light. But most if not all of the features that you’ve come to know on the iPad are there on the smaller version as well—headphone jack, On/Off button, volume controls, Home button, and so on. But despite those similarities, it’s hard to convey how different the experience of the iPad mini is compared to the full-sized models. It’s hard to believe, just a couple of years after we first marveled at Apple's tablet, that a full iPad experience fits into a package that’s this much smaller and lighter. And it’s no less polished or well-designed than its larger brethren. This is not a device that feels cheap; all metal and glass, it's extremely attractive. As with the iPhone 5, it feels like an object that was extruded, not assembled. The color scheme reinforces that feeling. Like the iPhone 5, the iPad mini comes in black (with a dark back and sides) or white (with a silver back and sides); these aren’t the multicolored hues of the iPod nano or iPod touch. Apple made a trade-off when it designed the original iPad with a 10-inch display: that big screen (and its weight) made the original too bulky to be held in one hand. 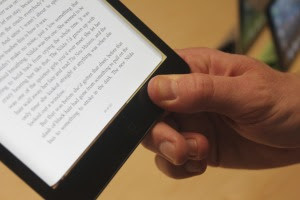 It was and is a great two-handed device (or a one-hand-and-propped-on-your-lap device), but it isn't palmable. The iPad mini most definitely is. If you’ve got small hands and want to hold it in landscape orientation, you may find it a bit of a stretch. 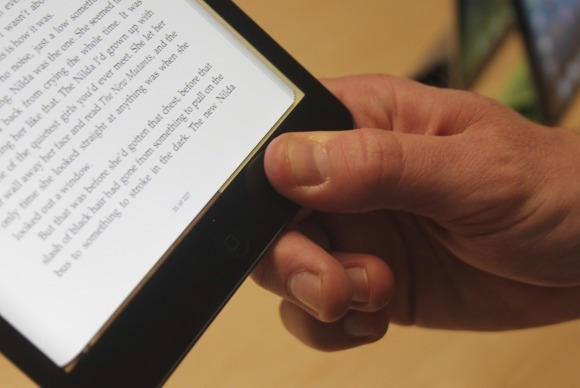 In portrait mode, it’s easy to grip the bottom bezel between thumb and finger, the way you might hold a book. The iPad mini is so light that holding it this way feels perfectly natural. It’s so small and light that we think kids will love it. Unlike previous iPads, the iPad mini’s bezel isn’t the same size all the way around: In portrait orientation, the left and right bezels are substantially thinner, as on an iPhone. Putting your thumb on it means touching the touchscreen. We suspect that Apple felt slimming down the bezel was an acceptable option, given that the iPad mini is light enough to hold in one hand. In landscape orientation, the larger bezels are on the sides, giving you plenty of room to grab on with those opposable thumbs of yours. However, while the iPad mini is small and light enough to hold in one hand, we do wonder how easy it’ll be to use singlehandedly. Swiping and tapping with a thumb, as you might on an iPhone, is possible but awkward. The iPad mini is narrow enough that it’s easy to thumb-type on its software keyboard in portrait orientation—it’s kind of like a giant iPhone. Thumb typing on the full-sized iPad is a lot less comfortable unless you have the hands of an NBA player. We didn’t have much chance to test ten-finger typing, but given the smaller size of the iPad mini's screen, we’d imagine it’s going to be a little harder to touch-type on this device than on the full-sized iPad. Even if you’ve already mastered iPad typing, you may have trouble doing it on the iPad mini. 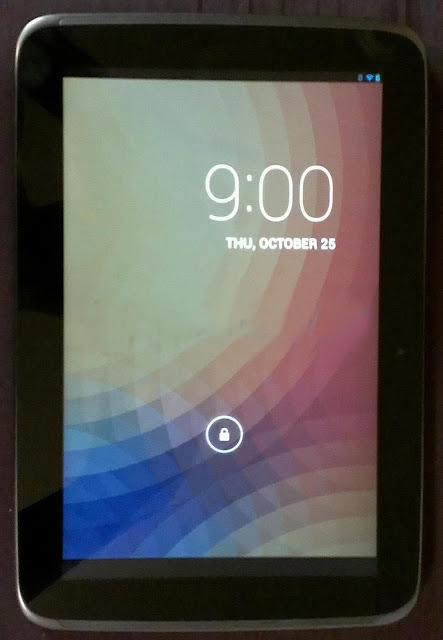 Anyone accustomed to using an iOS device with a Retina display will immediately notice that the iPad mini doesn’t have one: Pixels are clearly visible. It’s very much like looking at an iPhone 3GS. It’s a good, bright screen, but if you’re a Retina convert, you will not be pleased. We looked at photos and text on the screen, and both looked good. By keeping the same number of pixels as found in the iPad 2 while decreasing the physical size of the screen, the result is a higher-resolution display; as a result, everything looks a bit better than on the iPad 2. We tried a variety of apps and didn’t have any trouble hitting what we wanted to tap on, despite the fact that every interface element on the iPad mini is slightly smaller than on a full-sized iPad. 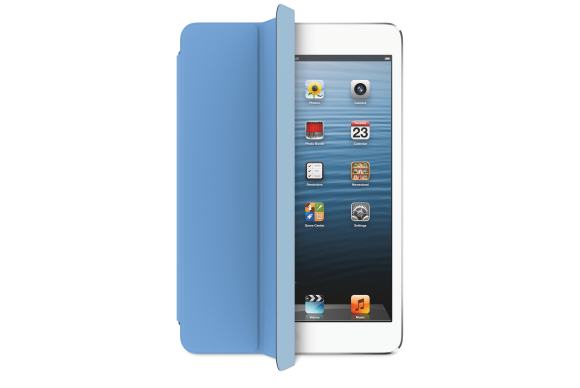 The iPad mini we tried came with an additional product: an iPad mini Smart Cover. In general, this accessory worked more or less like the full-sized iPad Smart Cover. Its metal hinge has been replaced by one that’s covered in the same material as the cover, so the design is a bit more cohesive. It was easy to snap on and off, and is so small that it adds very little bulk or weight to the already-small iPad mini. In general, we’re somewhat skeptical about cases for devices as small and light as the iPad mini, but the Smart Cover seems to be a good match for its device. Paired together, it feels like you’re carrying a small paper notebook in your hand. A bulkier case would mask the thinness and lightness of the device. 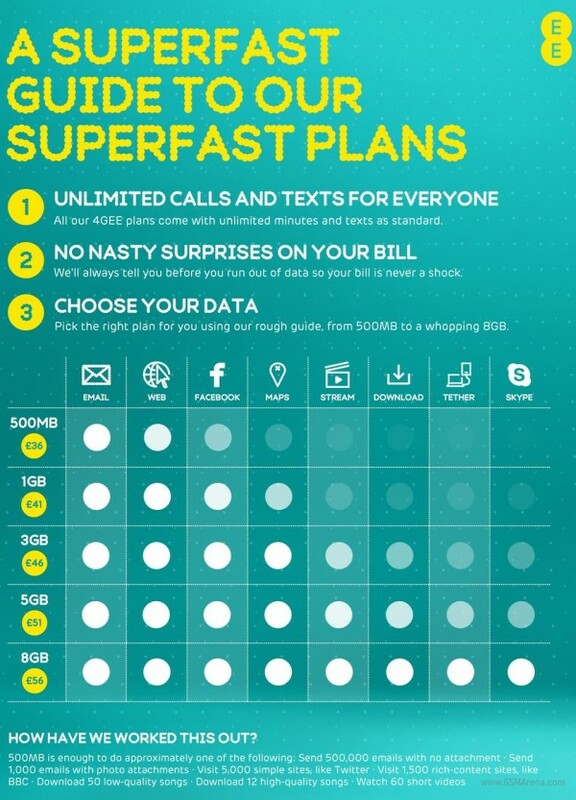 All LTE smartphone plans include unlimited calls and texts, user simply pick a data allowance of their choosing. The prices of the new plans start from £36/pm (offering up to 500MB traffic) and going north to up to £56/pm (which gets you up to 8GB of traffic). So, yes, there are no unlimited plans just yet, but the offered plans are expensive enough as they are. 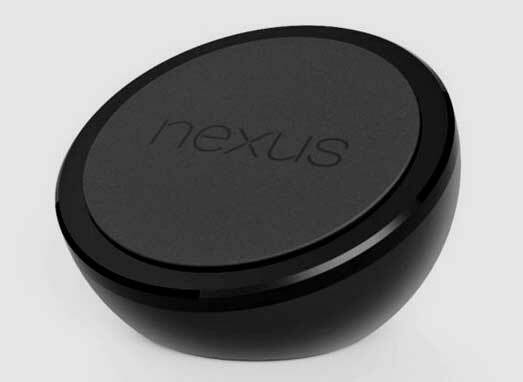 Nexus 4 to be announced on October 29? 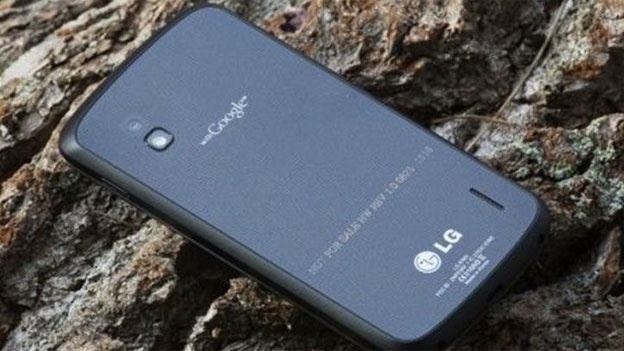 LG's Head of Mobile Product Planning, Amit Gujral, has confirmed in an interview with news site IBNLive that LG's Nexus 4 phone will be revealed at Google's forthcoming Android event on October 29th. "Google will unveil the LG Nexus on October 29 and the phone will be available in the Indian markets by the end of November," Gujral said. 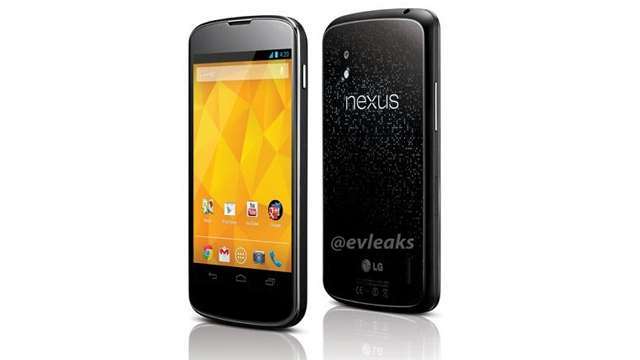 The Nexus 4 is expected to be powered by a 1.5GHz quadcore processor with 2GB of RAM and running on the Android 4.2 operating system. 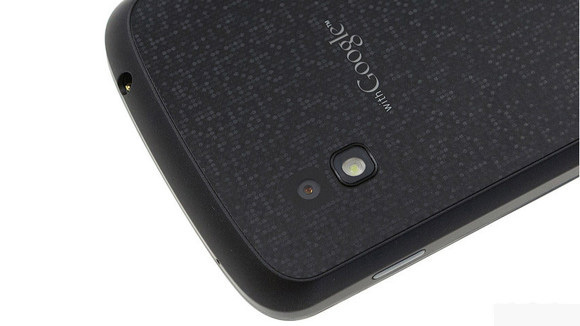 The Nexus 4 will contain 8GB-16GB of onboard space but it has no MicroSD. 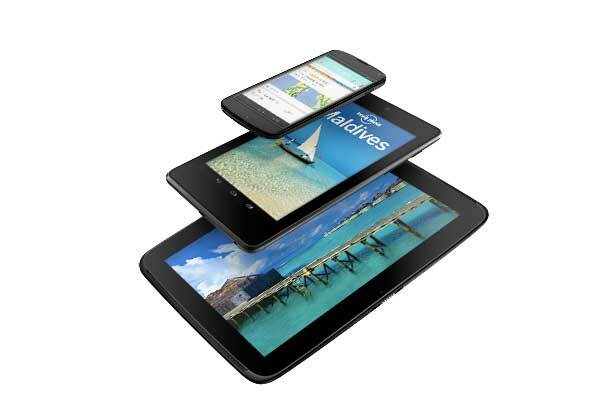 The device will also boast a 4.7 inch HD screen (720 x 1280), and 8-megapixel camera, and a non-removable battery. 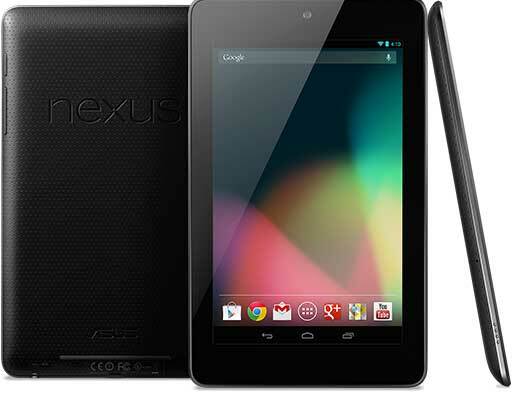 While Gujral confirmed the device will be available for purchase in India by the beginning of December, analysts state it would be quite unlikely that the Nexus 4 wouldn't launch globally around the same time. 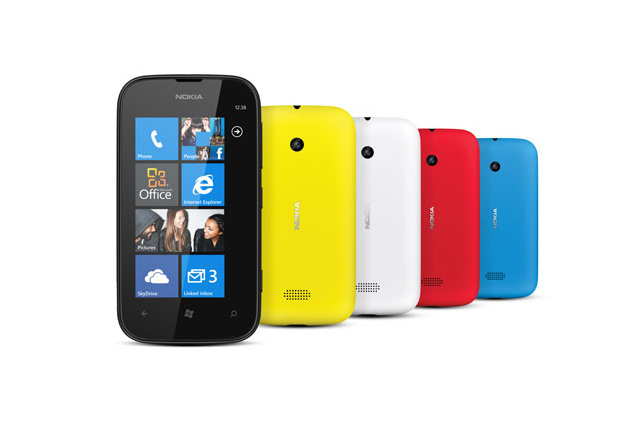 Nokia is launching its latest budget Lumia smartphone today in India. The Lumia 510, rumored a number of times previously, marks the latest move by the Finnish company to try and push Windows Phone price points as low as possible. With a 4-inch display, 5-megapixel camera, and 800MHz processor, this is a low-range handset that will initially launch with the Windows Phone 7.5 operating system. Nokia says the device will be priced below 11,000 Rs ($205) and will be available to buy starting in November in India, China, South America, and Asia. Being the founder of Microsoft certainly has its advantages, as well as its downsides. Case in point: the video interview Microsoft released this morning, starring none other than Bill Gates himself talking about the world of Windows 8. On the positive side, Gates reveals he's already got his own soon-to-be-released Microsoft Surface RT -- he calls it "an unbelievably great product," unsurprisingly -- with a black keyboard. On the less than positive side, despite being out of the CEO seat at the company, Gates still has to do interviews like the one found after the break. You'd think he could just get Ballmer to put on his old Crazy Eddie's impersonation! We've dropped that notorious video after the break as well, for comparison sake. Sources say that Apple has been testing an update for its most recent iOS version, iOS 6, and will be releasing it within the next few weeks — not quite in time for tomorrow’s Apple event. The company is said to have been testing the iOS 6.0.1 update with carrier partners around the country and it will end up fixing a general list of bugs and issues for iPhone and iPad users. The update may entail things such as a fix for the horizontal lines bug on the screen when the keyboard or app folder is open, as well as a fix for the camera’s flash not going off when it’s supposed to. The update should also improve WiFi support and fix minor issues with cellular data, as well as address a bug that allowed access to Passbook details from the lock screen. It’s also been said that Apple has just started testing iOS 6.1, which will most likely be a big update for iOS 6, and will hopefully include not only bugfixes, but improvements to multiple apps and settings, as well as some new features. However, if it’s true that Apple has just begun testing for iOS 6.1, it means that we probably won’t see the big update in time for the iPad mini‘s expected release date of November 2. Details are still sparse on iOS 6.1, but we should at least expect it to arrive sometime after the holiday season, with iOS 6.0.1 coming sometime within the next few weeks or so, since an exact date is yet to be known. 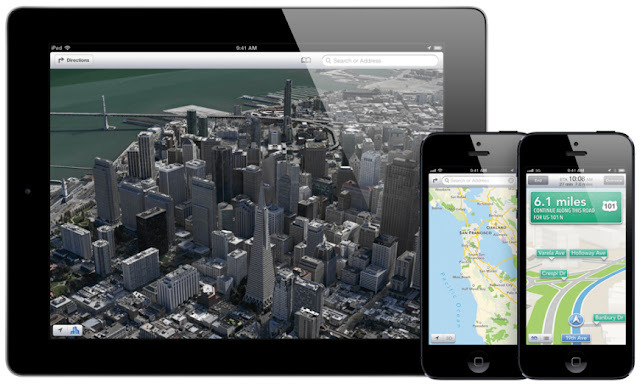 Apple has been constantly working on improving its own Maps app ever since the fiasco that started when the iPhone 5 released, so maybe iOS 6.1 will address a lot of those issues. LG has officially announced a pair of new PCs, the H160 sliding tablet and V352 all-in-one, both running Microsoft's new Windows 8 OS. The sliding tablet has a built-in keyboard that's revealed by a spring-loaded "auto sliding" screen, which pops open at the press of a button. The screen itself is an 11.6-inch IPS display of unknown resolution that's compatible with LG's Smart Touch Pen; we're not sure if that's a capacitive or traditional stylus, but LG says it allows for "precision-required" work. Thanks to the built-in keyboard the H160 weighs just over 2.3 lbs and is 15.9mm (0.63 inches) thick, but it does offer up full-size USB, HDMI, and microSD ports. The company promises 10 hours of use from the H160's battery, which makes this likely to be another Clover Trail-powered tablet. It looks like LG is attempting to go head-to-head with Sony's VAIO Duo 11, which features a very similar sliding mechanism and feature set. The V532 all-in-one features a 23-inch 1080p multitouch display, Ivy Bridge Core i5 processor and NVIDIA GeForce GT 640M graphics card. It also has a built-in tuner and functions as a TV when the PC is switched off. 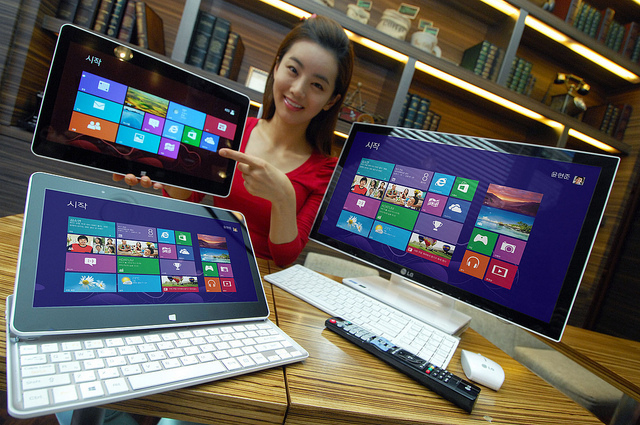 Both machines will be released in Korea on October 26th to coincide with Microsoft's Windows 8 launch. International availability hasn't been announced yet, but given LG's history with Windows products, we're not holding our breath for a US release. 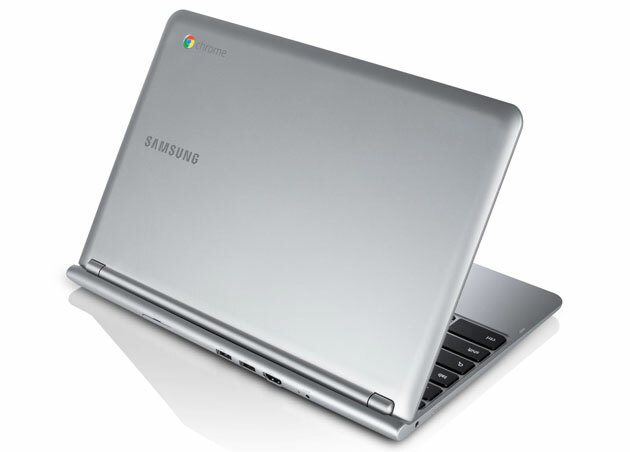 Today Google announced that a new Samsung Chromebook was going on sale for only $249. 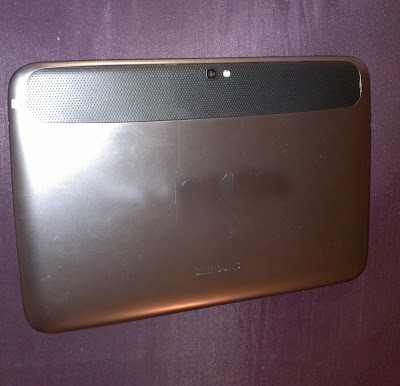 The device features a 11.6-inch display, 16 GB SSD, 2 GB RAM, 1.7 GHz dual-core Exynos 5250 chip, and weighs only 2.4 lbs. A model with a built in 3G modem is selling for $329. I don’t know how Android fans feel about Chromebooks, but they should be excited to see Samsung’s new Exynos 5 Dual chip finally in production. We have already covered the Exynos 5 in-depth, but to recap it features two Cortex-A15 CPU cores and a Mali-T604 GPU. This chip has already been spotted in an Android device, but nothing has been officially announced. Now that the Chromebook is available to order, it could mean we will see this mysterious Samsung Android device appear before the end of the year. I’m not sure if a Chromebook can fully replace a PC yet, but it is getting closer every day. If I had to choose between a Chromebook and an ARM-based Windows RT laptop, I think I would easily go with the Chromebook. It is half the price of the Windows RT devices, and it features a much faster Cortex-A15 processor compared to the older Cortex-A9 chips in the Windows devices.